Folks, I had to work my way up to writing this one. It’s not every day you get to try a tequila with such a pedigree… and I hope you’ll get the chance to sample it eventually for yourself. But first, some history: Jose Cuervo is the world’s oldest maker of tequila, with 10 generations of Cuervo family members running the place for the last 250 years. 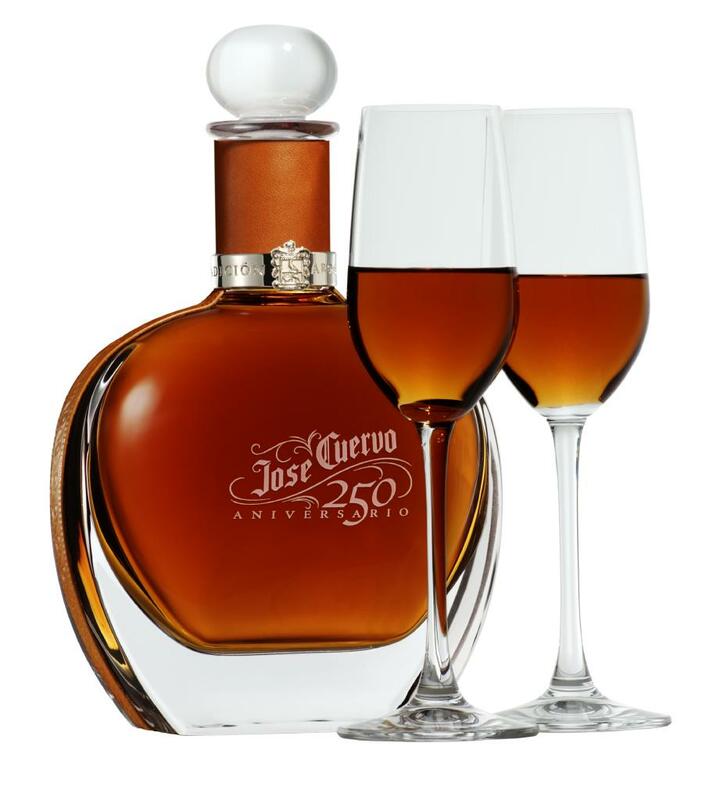 Jose Cuervo actually predates Mexico — a reproduction of the Spanish land grant for the original Cuervo agave plantation actually accompanies this special edition bottle of tequila. To honor 250 years of history, the company is releasing this — arguably the most exclusive tequila ever made — on November 2. The pedigree is insane: It’s made with a blend of 5-, 10-, 15-, and 20-year-old anejo tequilas, plus a selection of blanco tequila uncovered in the Cuervo cellars that had been stored there for 100 years. That blanco was aged for three years in oak barrels before mixing with the rest of the tequilas in the blend. Finally, the entire blend was aged a second time in sherry casks for an extra 10 months. The resulting elixir is put into a hand-blown decanter and a custom box which you probably won’t want to ever open, since it costs $2,250. 495 bottles were made. The one I sampled is the 3rd bottle opened to date. And yes, I got to try it. Pretty amazing stuff. It’s not as dark as I had expected considering the age of some of the tequilas in the blend, but the nose is filled with smoke and sherry character, plus some surprising citrus character, too. Most surprising of all: You can smell the agave, something that’s usually absent in well-aged tequilas. Amazing stuff. 80 proof. Seek out a bottle with your local sheik or oil company CEO. Coming soon to Zocalo in Cleveland Ohio, come by and try it out!